The PAS Technology Committee in cooperation with the Donald Tavel Arts Technology Research Center, and the IUPUI Department of Music and Arts Technology is presenting the Percussve Arts Society Technology Day on Wednesday, November 19 from 9 am to 5 pm. The Tech Day will be held at University Tower on the IUPUI campus, just minutes from the Indiana Convention Center. Tech Day 2014 is going to be a day of performances, clinics and lab sessions. An international roster of performers and presenters will utilize live-computer processing, media, MIDI controllers, and other topics in the five scheduled concerts. Clinicians will be presenting their work in technology with education, performance, and composition. 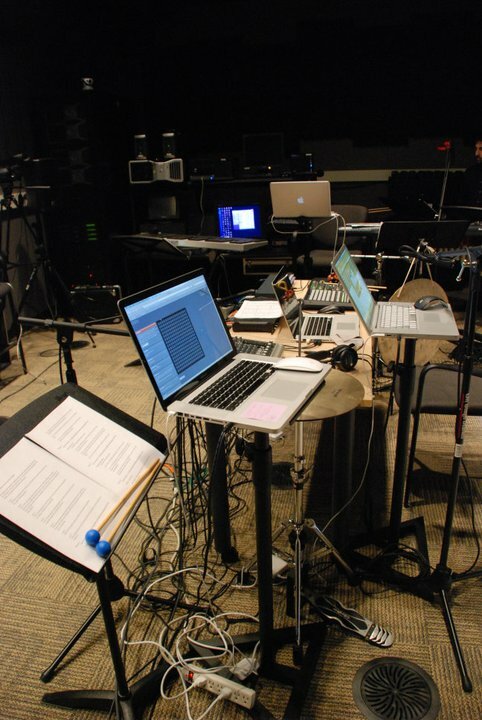 A full day of software sessions in a computer lab at the day will provide entry-level information on DAWs, MaxMSP, Ableton Live, Logic Audio, and notation software. Tech Day is going to be a fabulous event for anyone interested in incorporating technology into their music, or for percussionists who are already doing so but looking to increase their awareness and abilities. You are currently viewing the archives for November, 2014 at Telematic Collective.